Modern, flexible HTML5 Coded Responsive WordPress Themes with clean and unique design. 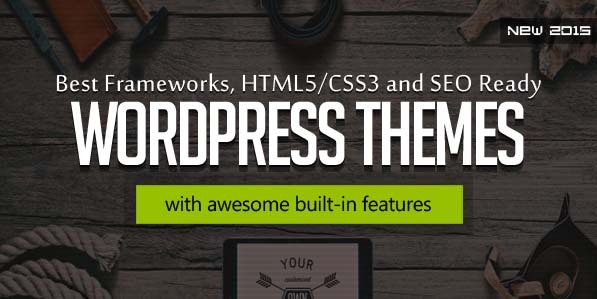 All themes are easy customizable, built with best frameworks and made with HTML5, CSS3, JS, jQuery and SEO ready. All files are well organized and documented so anyone can use, modify or customize these templates. All themes are included Visual Composer Page Builder which gives you freedom to create awesome websites with almost any layout you can imagine in only couple of clicks and will save you lots of time working on the site content. Professional WordPress themes are best for creative design agency, portfolio, SEO analytic, financial adviser and stock brokers, technologies research and production, scientific research, travel and logistics, business trends, market jobs and eCommerce websites. HONCHO is a Professional, responsive retina ready HTML5 One Page/Multi Page Themes which has been built Using Bootstrap 3. The theme Comes Complete with four flavours and the Premium Plugin – Cube Protfolio. Aperio is clean , creative and powerful multipurpose wordpress theme with incredibly flexibility with lots of options and variation. Aperio has included multiple header layouts , parallax slider , posts slider , revolution slider , powerful admin panel , 600+ google font , easy font integration from premium font vendor websites and also with support to upload your own fonts and icons. Lighthouse is one page responsive theme which is a highly customisable. Lighthouse it’s perfect to use for Personal Portfolio, Restaurant, Small Company etc. It’s build in Bootstrap Grid 1170px, and it is Retina Ready. Lighthouse also offers the full list of google fonts, by bringing the opportunity to user to take it to the next level. Keepsake is a flat and responsive WordPress Theme with a clean and professional design which will be a great solution for your business, portfolio, blog or any other purpose website. Keepsake was built with awesome Twitter Bootstrap v3 and it loads of page builder elements pages with unlimited color options. The moon is all about showing your website in a most creative and innovative way. Fresh ideas are on every corner of this theme. We tried to build a beautiful WordPress theme with many visual and technical features that will blow your mind. Element is a clean and ultra flexible WordPress theme suitable for business, creative companies, freelancers, agencies, which need a professional way to showcase their projects, services, or/and sell their products. Garbini – WordPress is an one stop solution for your Ecommerce requirement. 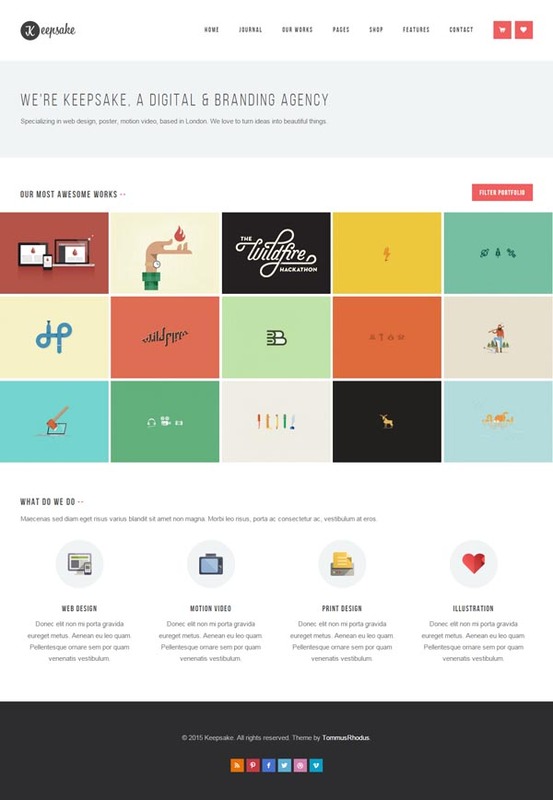 Our theme comes with a neat and clean design and amazing options. We have included a Power Admin control and flexible to customize. Our theme is a best solution for a fashion, cloth stores. StoReSmart is a multipurpose WordPress theme. This theme is fully responsive and optimised for High Resolution screens. All layouts work perfectly on all devices. It is a right choice for those looking for a quick and flexible online store solution. We have integrated the most popular e-commerce WordPress plugin – WooCommerce, to help you to implement all your business ideas.